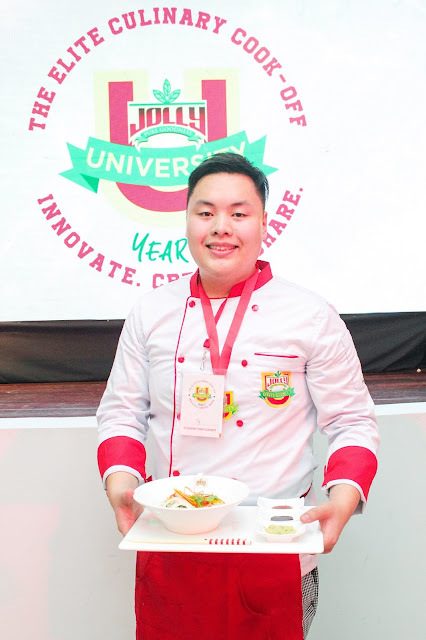 Immense culinary prowess and kitchen showmanship by the most promising campus bets in the country shone the brightest at the successful finale of Jolly University (JU) Year 5 Grand Cook Off held at the St. Scholastica’s College in Manila last March 15. 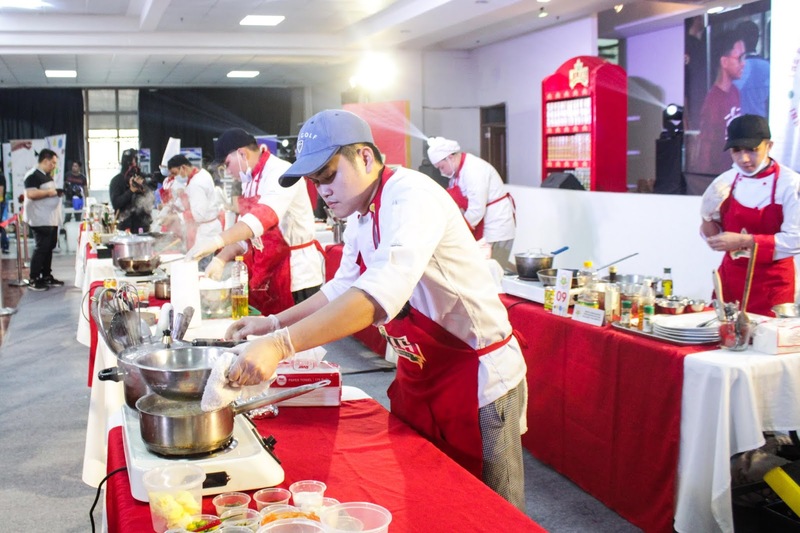 The culinary competition among the top 20 elite finalists focused on elevating one’s culinary passion and recreating everyday dishes with this year’s theme “Innovate. Create. 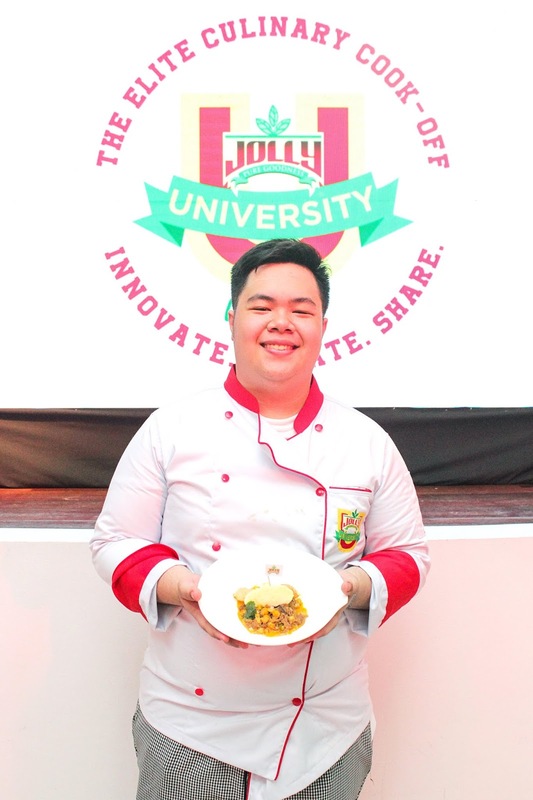 Share.” JU Year 5 is aimed at testing the kitchen skills and creativity of challengers in coming up with their best dish creations under the modern Filipino and fusion categories. 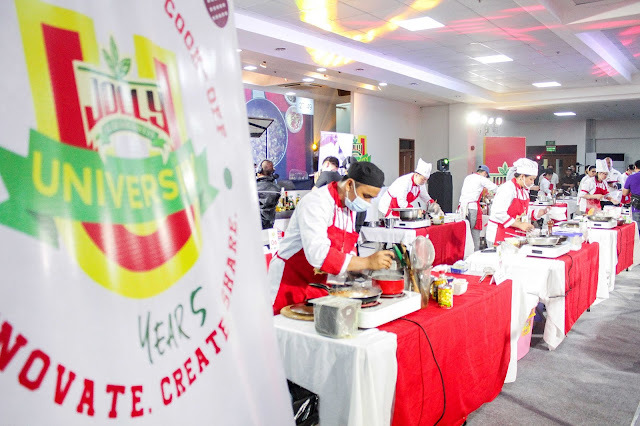 The Grand Cook-Off attracted hundreds of culinary and HRM college students from campuses all over the metro and nearby locations. This year’s sole grand champion took home fifty thousand pesos (P50,000) worth of cash and prizes. “A successful program takes time to build. While we envisioned JU’s success, we are still overwhelmed by how it sparked the flames of curiosity, creativity, and the cooking abilities of so many students in the past five years. JU indeed has grown to become a long-running program that is greatly supported by the academic communities as well as partners from various industries. 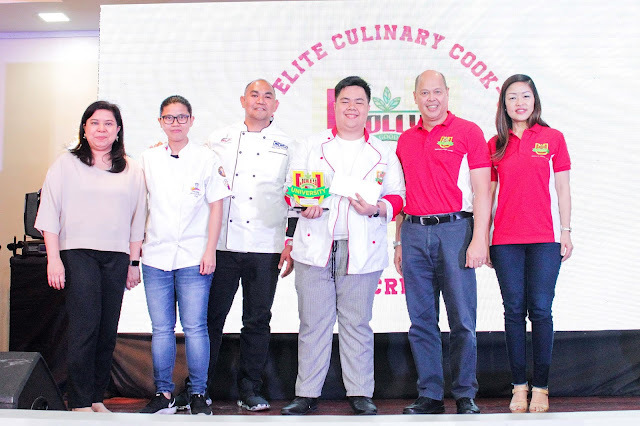 By doing so, everyone took part in making the program thrive dynamically throughout the years,” Lucio Cochanco, Jr., President of Fly Ace Corporation, commented. 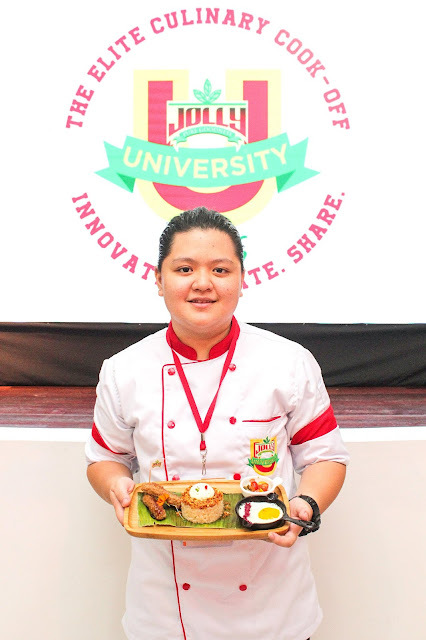 “We are really excited for Year 5 of Jolly University. 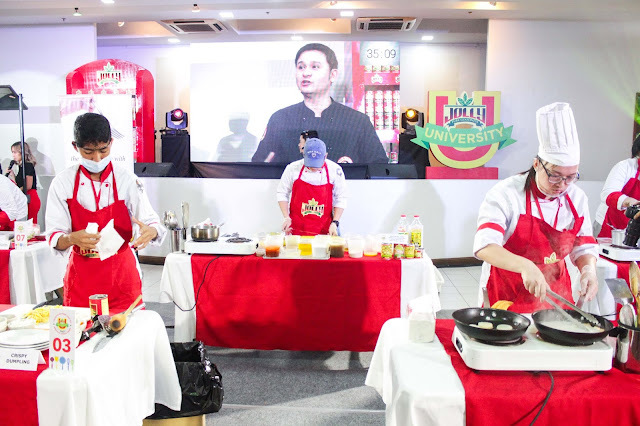 It’s great to see a new batch of talented and very promising campus culinary talents going all out as they presented to us their innovative modern renditions of Filipino classics and fusion recipes,” said Abigail Ng-Reyes, AVP for Marketing of Fly Ace Corporation. “Besides the prize and fame, another unique aspect of JU is that it creates and supports youth role models. Past JU grand winners become influential role models to fellow students, and as ambassadors of a homegrown food brand that is proud to help empower the youth through cooking. 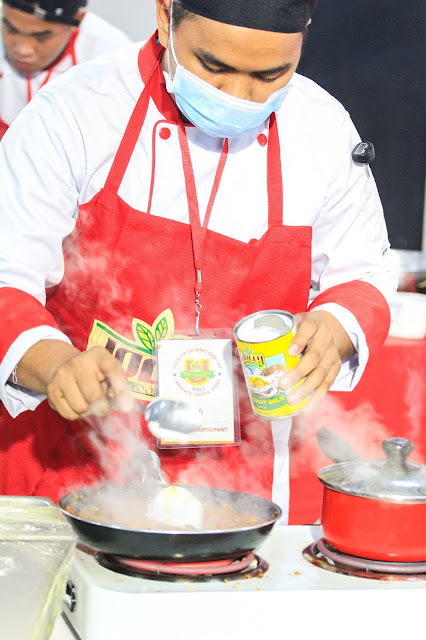 For participants, the program acts as a learning platform and vital stepping stone to their career paths as future food industry entrepreneurs and culinary professionals,” Geetan Raghani, Associate Product Manager for Jolly Food Line added. For Year 5, greater social media engagement was achieved via the Golden Ticket mechanics wherein two of the chosen top 20 JU finalists can advance immediately to the final round during the cook-off. 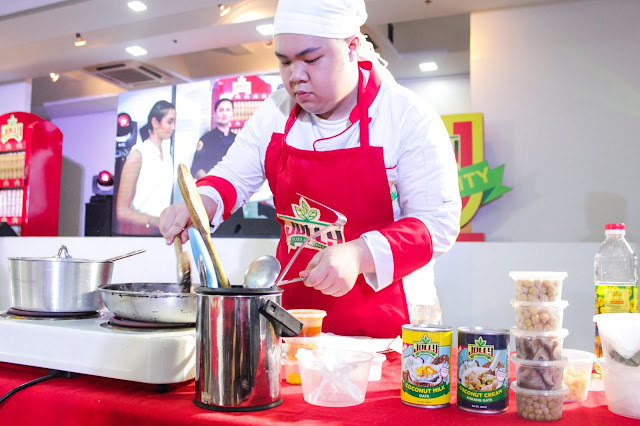 The two contestants who automatically earned the final slots are Richmond Suntay of UST for whose dish photo garnered the Most Likes and Shares on FB and Ria Arugay of San Sebastian Recoletos for the Most Jolly Canned Vegetable Product Labels Collected. A program that began in 2013, JU encourages diversity as well as collaboration across and beyond academic borders while effectively transferring key skills to talented young students. Serving as a springboard to prepare aspirants in their future careers, the highly successful campus-wide competition nurtures cooperative relationships among students and institutions in promoting culinary excellence and food business innovation in the Philippines.